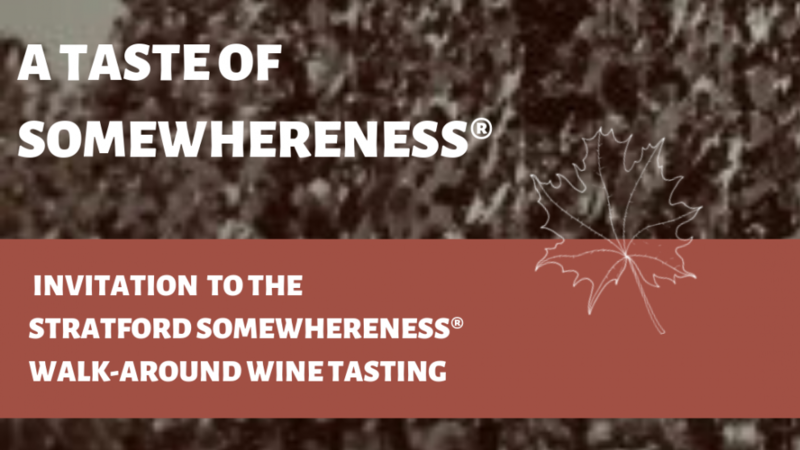 Discover the wines of SOMEWHERENESS™, where each bottle is imprinted with an Ontario vineyard’s sense of place, its soil, climate, seasons, vintage variations – and its maker’s methods. Book tickets at link below! You’ll have the opportunity to taste over 70 wines with the exclusive opportunity to purchase directly from the wineries of SOMEWHERENESS. Light fare from the kitchen of the Stratford Chefs School will be served.